What model Cadillac did the GM factory worker drive? It’s a ‘49, ‘50, ’51, ’52 Automobile; it’s a ‘61, ‘62, ’63. 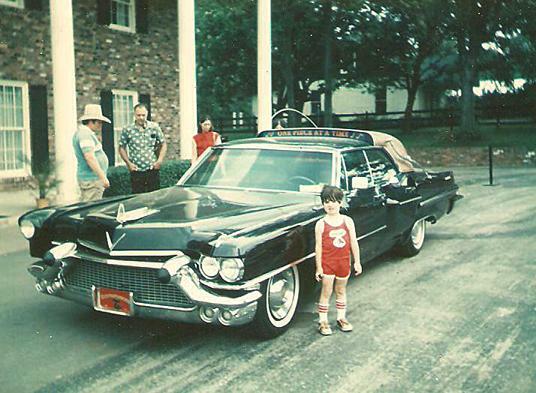 The Man in Black shared some strategic IT insight from his ’76 classic, “One Piece at a Time.” Does your ERP Application Roadmap remind you of Johnny’s Cadillac? and the motor turned out to be a ’73. Does that sound familiar; ERP application systems created “One Piece at a Time”: legacy, heterogeneous on-premise and now cloud applications? Do you want to avoid having a Roadmap that looks like Johnny’s Cadillac? You don’t have to carry all the pieces out in your lunch box. In this edition, we share a few articles on SAPPHIRE and SAP Hybris Cloud for Customer. Now the headlight’ was another sight; we had two on the left and one on the right. Who wants their system developed piecemeal like that? It’s not good for the company, the project teams, or the final product. Companies have only done it this way because they thought they had to, for budgetary or schedule reasons. Our feature article on SAP Hybris Cloud for Customer (C4C) highlights how far this trendsetting SaaS app has come. You will want to see how fast this baby has grown up. Years ago, SAP Cloud CRM was so far behind; you needed the Hubble telescope to see it. Now, Hybris C4C is competing against and winning the head-to-head competition against SFDC and other cloud CRM apps. For anyone interested in a single vendor footprint for your Customer Engagement applications, take a look at SAP. Titan Consulting is privileged to partner with SAP and committed to the Summit. We are also committed to our customers to develop a realistic, comprehensive plan for implementing ERP or doing upgrades that will avoid the pain of the “One Piece at a Time” approach. What model is it? It’s a ‘49, ‘50, ’51, ‘52 automobile; it’s a ‘61, ‘62, ’63. This is a classic song, but not a winning roadmap for your on-premise and cloud applications. If you want your systems to hum like a finely tuned Cadillac, give Titan Consulting a call. Our Advisory Services provides the diagnostic and evaluation to ensure that your SAP applications run so that you would be proud to drive.